Why Do We Need to Know about International Law? Living in a globalized world that is constantly evolving is clearly not that simple, at least you will need to know how things work nowadays. With technology and social media, the effort to connect ourselves among fellow citizens of the world is getting easier. This makes a proverb which says that the world is getting narrower with boundaries fading away as a new reality. The development of world order ultimately requires human beings who live in it to have a better ability as well. This is necessary due to the development of technology, as described above, which makes the relationship between countries more important than ever. This is when the international law comes in, with a lot of things going on, world’s citizen will obviously need a set rule to live with. And eventually we will need to have a better understanding about this “rule of the world” or the international law. This situation is also experienced by law students throughout Indonesia, as the candidate of future Indonesian international, law students in Indonesia should be provided with maximum capabilities with regard to international law. One way to do it is by encouraging these students to participate in international moot court competitions. To be able to master the international law is clearly not easy. Moreover, the still-unclear structure of the international law which has caused so many doubts about the effectiveness of international law in maintaining world peace, only make it harder to study. 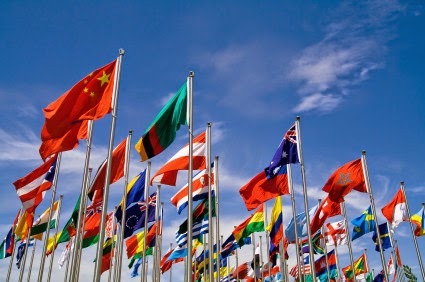 In addition to that, when viewed from the legal instruments that can be used as a source of international law, it can be understood that the scope of international law is very much wider than the scope of the national law of a State. However, it does not mean that the mastery of international law is extremely difficult or even impossible to master and study. This only means that in order to learn and master the international law, students are required to have determination and effort so as to produce maximum results. In a moot court competition a student of international law is not only required to be able to understand the theoretic aspect international law but also the practical side. Because in the process of competition participants are also required to have the practical ability of international law concerning, for example, mastery about the important issues related to international law that is currently going on during the making of memorials. Other than that, the participants must have the ability to do research about the customs of the countries in the world with respect to the international law. Reflecting on the things above and looking back to the time when Indonesia had a dispute with another State which was in the realm of international law, such as the case of Sipadan - Ligitan with Malaysia in 2002, Indonesia needs to make sure that its young generations have a good understanding of international law.